The new Plowhares roastery cafe in the Manhattanville Factory District in West Harlem, New York. 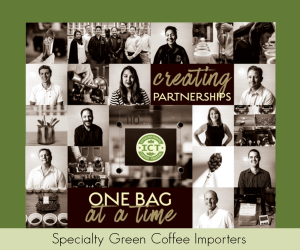 All photos courtesy of Plowshares Coffee Roasters. 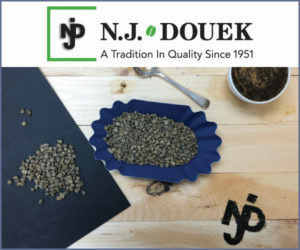 The 10-year-old wholesale roasting company Plowshares Coffee Roasters is occupying new ground, relocating its production roastery and headquarters from Rockland County, New York, to West Harlem. 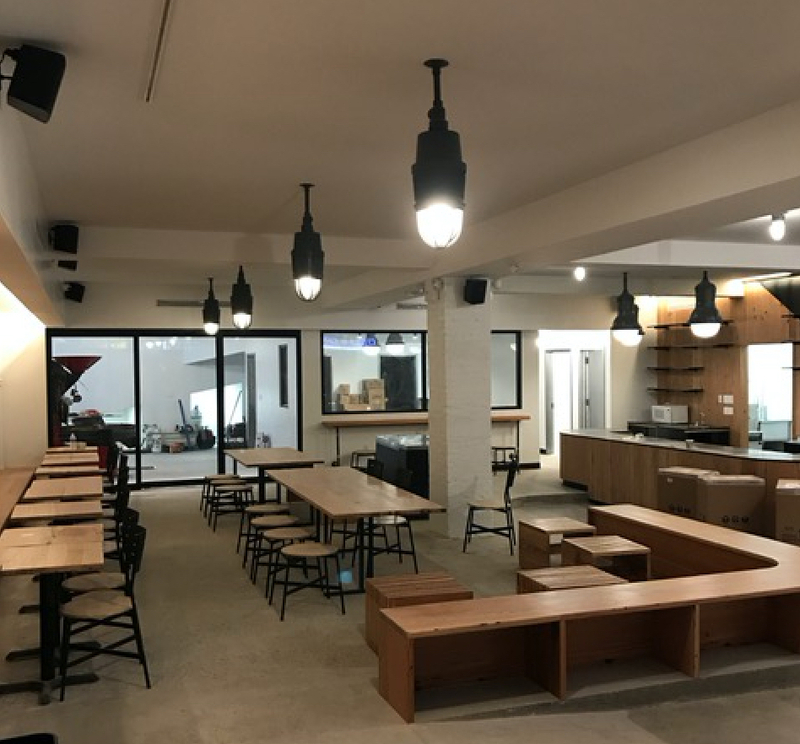 The new space, at 1351 Amsterdam Ave. between 125th and 126th Streets, is just about 20 blocks uptown from Plowshares’ flagship retail cafe, which opened in 2014. Plowshares CEO Anthony Kurutz told DCN the move will allow for much easier access to wholesale clients throughout Manhattan, Brooklyn and elsewhere. 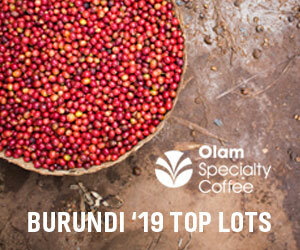 The company is taking advantage of the move to make some significant upgrades in both roasting equipment and facilities. 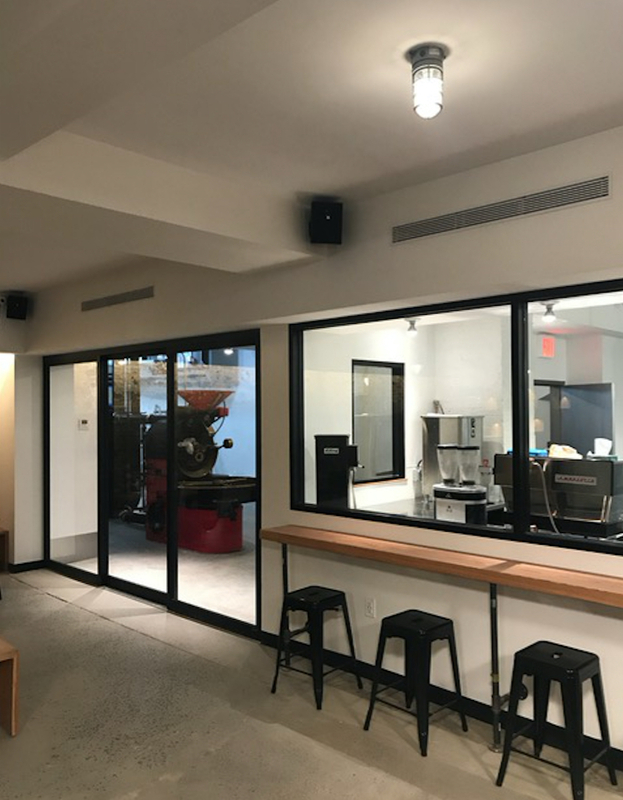 The company is selling the vintage Probat UG15 and afterburner system currently in its Hillburn roastery, while a 1940s Probat UG-22 from Marty Curtis at Artisan Coffee Group is now coming together in West Harlem. Through large panes of glass, that machine will be in full view of patrons inside an adjacent cafe space that includes seating for 55 people in an open and airy environment. 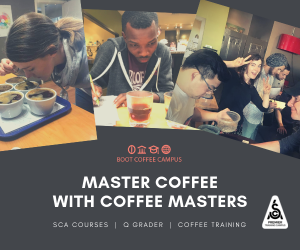 In total, the new facility occupies 3,600 square feet, affording Plowshares room for a quality control, cupping and training room outfitted with a 2-group La Marzocco Linea MP espresso machine, a Modbar pourover bar, a Fetco 10 Gallon Hot Water tower and cupping tables. 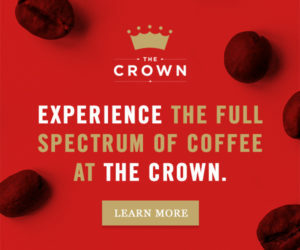 The retail bar, which has a single size for each of its drinks, served iced or hot, will be offering a straightforward espresso-based menu aided by a 2-group Linea PB and Nuova Simonelli Mythos Clima Pro grinders for single-origin and blended espressos. A Mahlkonig EK43 will support Fetco XTS batch brews, as well as Kalita Wave and Chemex manual brews. 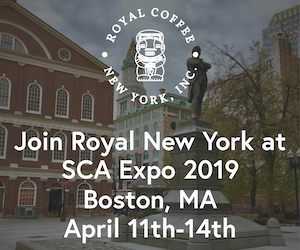 Cold brew, nitro-infused cold brew and nitro cascara will all be on tap, while pastries will come from such local vendors as Ovenly, Balthazar, Colson Patisserie, The Good Batch, SANS Gluten Free Bakery and Underwest Donuts. With the move Plowshares joins a number of fresh tenants within what’s billed by developer Janus Property Group and others as the Manhattanville Factory District, in which several large former industrial buildings have been renovated or are in the process of being renovated for commercial uses. 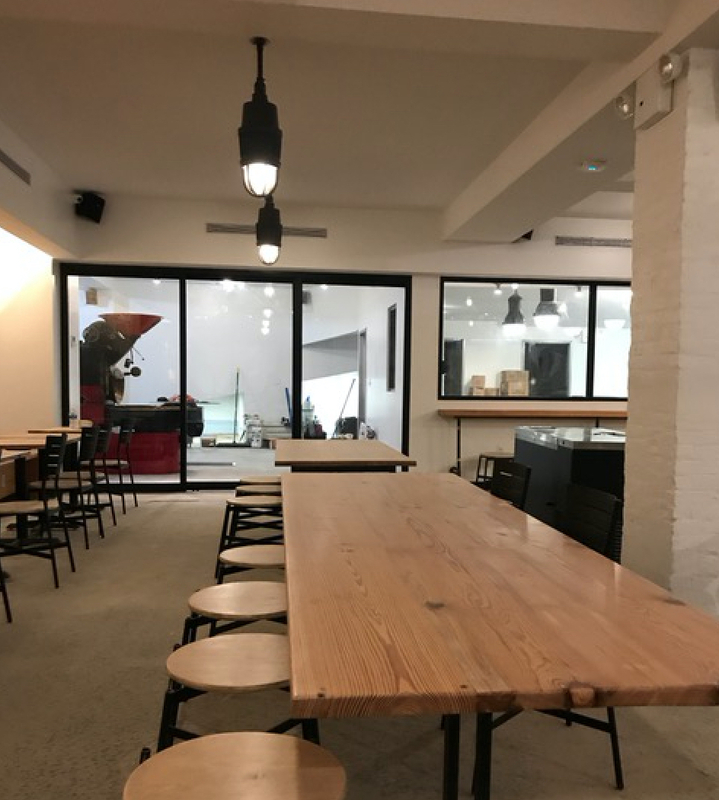 Plowshares Coffee Roasters is opening soon at 1351 Amsterdam Ave. in New York City.